Summer interns in the Keya Wakpala community garden. The Rosebud Indian Reservation, located in south-central South Dakota, is home to the Sicangu Lakota Oyate (“Burnt Thigh Nation”). In 1999, the tribe established the Rosebud Economic Development Corporation (REDCO), a chartered corporation managed by an independent board of directors, to promote economic growth and generate revenue for the tribe. Over the past five years REDCO has grown from losing over a million dollars a year to generating annual profits of nearly a half-million dollars, and it has expanded businesses and launched a series of innovative community development programs. REDCO’s community development centerpiece is the Keya Wakpala Development, a 590-acre site that will include homes and businesses that promote traditional culture, language and familial tribal structure. Leahanna Keeler, REDCO intern, conducted more than 150 community food assessment surveys. After her internship was over, she was hired as REDCO’s garden manager. REDCO began surveying community members about the design and function of this new community project in 2014. In addition to housing and retail space, many tribal members pointed out the need for a community garden, farmers’ market and other food sovereignty initiatives at the new site. 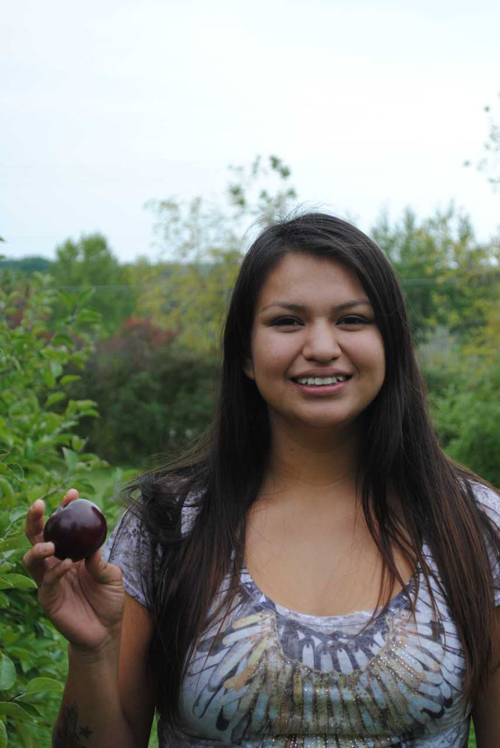 REDCO took the community’s suggestions to heart, and within a year began using First Nations Development Institute’s Food Sovereignty Assessment Tool (FSAT) to conduct a food assessment. 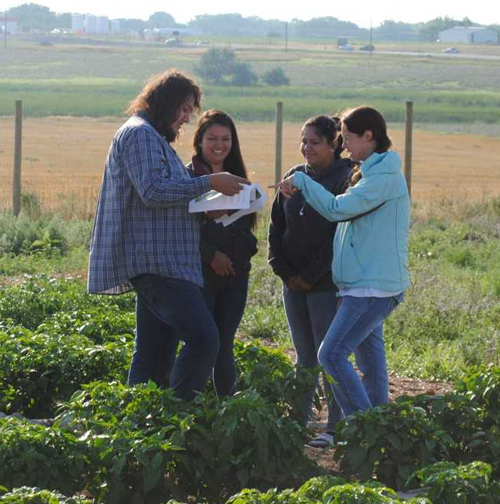 In 2016, First Nations awarded REDCO a $20,000 food sovereignty assessment grant, courtesy of the NoVo Foundation Fund at the Tides Foundation, to complete community food assessments for eight of the 20 communities across the reservation. REDCO initially began working on these surveys in 2015 with assistance from the Notah Begay III Foundation, but quickly ran out of funding to travel to and survey the tribe’s more isolated communities (end to end, the reservations extends over 150 miles). With this $20,000 grant, REDCO hired a food sovereignty director and two interns to compile and analyze the remaining data. 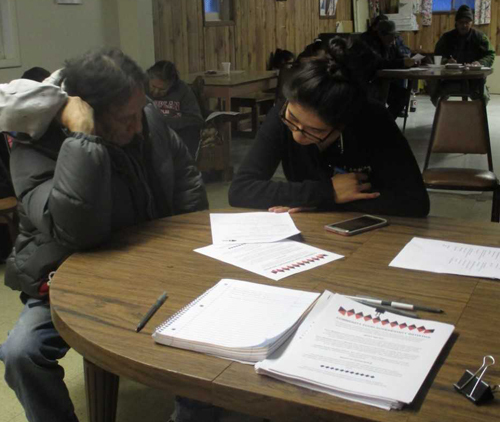 Between January and April 2016, REDCO interns conducted more than 150 surveys at community meetings, basketball games and in the tribal college cafeteria. It also purchased a new computer and software to evaluate the data, which confirmed that Rosebud is a food desert, and that tribal members want greater access to healthy, traditional foods. Tate Bird, REDCO intern, conducts a food sovereignty assessment interview. REDCO used this information to establish the Sicangu Food Sovereignty Initiative, a community-based project that promotes “an Indigenous food system that will ensure wicozani (health of mind, body and spirit) for current and future generations.” Through this initiative, REDCO has been able to partner with communities in rural and remote areas that cannot easily access REDCO’s centrally-located farmers’ market. For example, since conducting a community food assessment, REDCO has partnered with the Soldier Creek Community to plant a pumpkin patch, and the Horse Creek Community to plant 800 fruit trees, thereby ensuring that all tribal members have access to healthy, traditional foods. 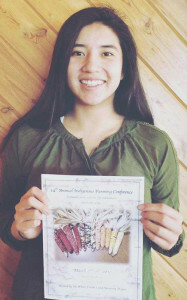 Tate Bird at the 14th Annual Indigenous Farming Conference. A wonderful plan! Are there resources for each family to have access to a year around home grown food supply including meats such as poultry?